Imagine you have several labels in your project and you want them to be updated dynamically whenever a user selects a different language. You can achieve this with the assistance of our Excel Interface Asset. This article will explain how. The method described below can be applied to both text and images. Reminder: Watch the recording of our Boost your Intuiface Experiences with Excel webinar to learn all the basics about using Excel with Intuiface. First, create a worksheet containing the list of languages. We will use this list to generate buttons enabling users to select their preferred language. Next add a second worksheet to your Excel workbook that will contain the text for each language you want to use in your project. If you plan to have quite a big project, with many scenes, you can create several sheets to better organize your content. One worksheet per scene could be a good approach. This worksheet will have one Language column and one column for each item that will be represented by multiple languages. Each row will correspond to one language. 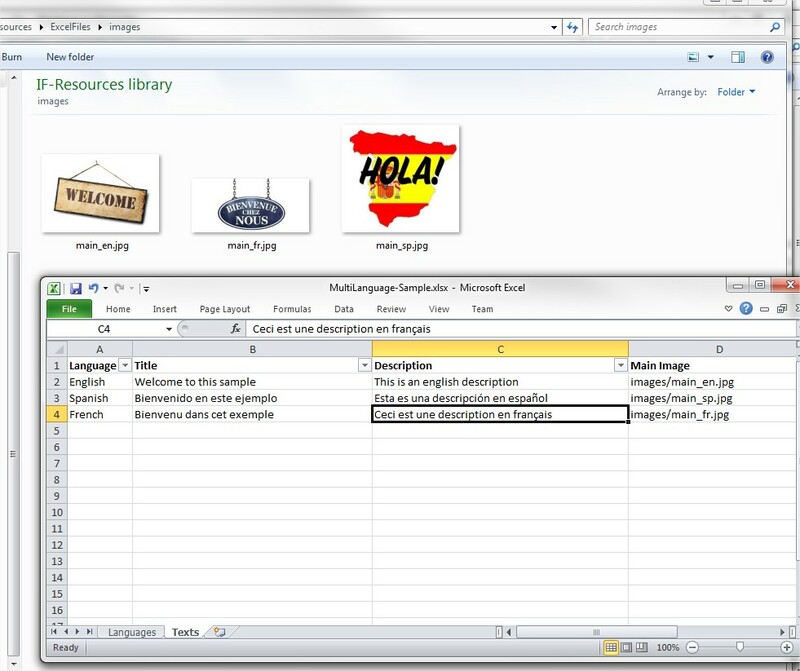 Drag-and-drop onto Composer, in Edit Mode, both the Excel file and (if applicable) the folders containing referenced images. As you build your experience, bind each Text Asset to the appropriate column in the first row of the Excel spreadsheet. Do the same for Image Assets. 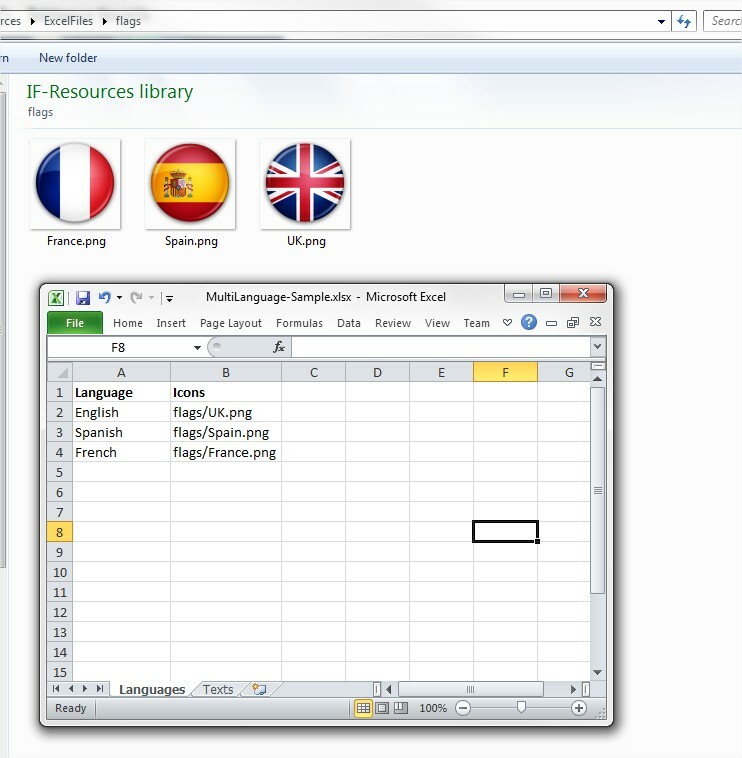 Then create a Languages selection menu using the first Languages worksheet of the Excel workbook. Language selection involves calling the Add filter action. Doing so will put the appropriate language in the first row of the spreadsheet. And here is the result in Play mode.